Not following the suggestion of the film's director Rian Johnson, we just couldn't resist not watching the reveal of the latest "Star Wars: The Last Jedi" trailer and it was worth it. The trailer was mostly a contrast between Kylo Ren and Rey concluding in one huge lead-up or unexpected team-up. Even better, Lucasfilm has also unveiled the latest poster art which you can view both below. The film stars Mark Hamill, Carrie Fisher, Adam Driver, Daisy Ridley, John Boyega, Oscar Isaac, Lupita Nyong’o, Andy Serkis, Domhnall Gleeson, Anthony Daniels, Gwendoline Christie, Kelly Marie Tran, Laura Dern and Benicio Del Toro. "Star Wars: The Last Jedi" is written and directed by Rian Johnson and produced by Kathleen Kennedy and Ram Bergman. J.J. Abrams, Tom Karnowski and Jason McGatlin are the executive producers. 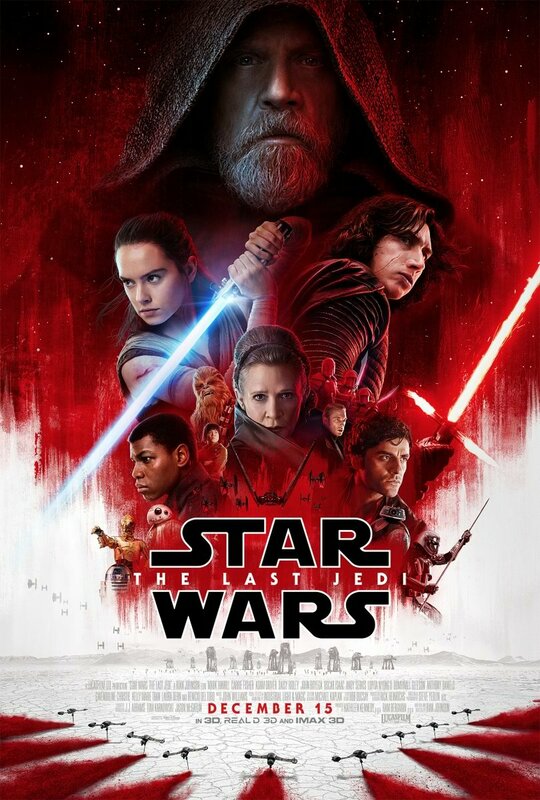 "Star Wars: The Last Jedi" is distributed by the Walt Disney Company (Philippines) and watch "Star Wars: The Last Jedi" in Philippine cinemas December 15.